The concept of smart contracts was being developed before the word blockchain existed, but the term was popularized after Satoshi Nakamoto’s whitepaper. Before blockchains, there were problems when two machines needed to enter into a contract and engage in some activity like simple value transfers. These tasks could be solved by writing a code that would execute the agreement between the two machines based on the if-what conditions. With the creation of blockchain technology, smart contracts were given the benefit of immutability, which opened up opportunities for the machines that don’t know each other to trustlessly engage in economic transactions and reach agreements. I like the more straightforward definition given by Dean Tribble during his presentation at the Web 3 summit last year – it’s a contract-like arrangement, expressed in a source code, where the behavior of the program enforces the terms of the contract. The fundamentals of smart contracts are rooted in basic contract law that has existed for centuries. At the same time, as noted in the primer by the CFTC (3), a “smart contract” may not be a legally binding contract. It may be a gift or some other non-contractual transfer. It may be only part of a broader contract. If a smart contract violates the law, it would not be binding or enforceable. In some interpretations, smart contracts can even go beyond the classical contract framework as perceived in the judicial system, but it could be any computer program that involves two or more machines interacting with each other. This does cause some confusion in the crypto space, where quite a broad range of programs are nowadays being called smart contracts. By having these properties, smart contracts could bring online not just payments and economic transactions, but broader economic activity. Although smart contracts are generally associated with the creation of Ethereum, Bitcoin was actually the first to support basic smart contract functionality in the sense that the network can transfer value from one person to another. Since then the term smart contracts has started to gain more traction, and the technology is deemed to be capable of disrupting almost all existing industries, from finance to healthcare, insurance, the legal system, and more. Self-driving cars. Smart contracts could enable vehicles to interact with each other on the road, make instant toll payments, identify the liable side in an accident and so on. Sharing economy. You could share your assets such as your apartment or your car, for-profit through smart contracts. For example, you could rent out your apartment or car without having to rely on the middleman like Airbnb. The smart contract could deal with everything from payments, to the locking and unlocking of the apartment or car. Law. Hundreds of standard legal agreements could become automated using smart contracts. The job of lawyers could shift to developing standard code for smart contracts instead of drafting legal documents. Financial instruments. With the help of smart contracts, using complex derivatives like credit default swaps could be done in a more transparent and automated way. Securities cap tables could also be updated through smart contracts to avoid discrepancies as we’ve seen with the case of Dole Foods (4). Real estate transactions. Smart contracts have the potential to significantly reduce costs and time spent on executing real estate transactions by automating many steps in the process, like the title search and title transfer. These could be subsequently linked to the execution of the payment and recorded on the blockchain. Supply chain. The transparent movement of goods through the supply chain could be automated through smart contracts, which has the potential to help to avoid multiple frauds and quality issues, especially in the food industry and luxury goods. Insurance. Billing insurance payments and processing claims automatically through events triggered by connected devices like personal vehicles, is another case for automation. Efficiency gains could come from the lack of reliance on expensive and slow insurance underwriting process. There have been several smart contract implementation use cases in recent years in industries such as trading (for example with the Bank of America and DTCC trading CDS(5)), government voting systems (such as Zug’s experiment (6)), food supply chains (for example with Walmart (7)), real estate transactions (such as the case with student residences in South Carolina (8)), healthcare records and many more. Some of the working use cases include prediction markets (with Augur), collateral debt using a stablecoin (such as with MakerDAO) and various multisig implementations. At the same time, the most practically adopted use case of smart contracts, so far, has been token sales or ICOs. We’re probably even far from scratching the surface of the potential of this technology. At the same time, there are still a few obstacles to overcome until we can rely on smart contracts to take important decisions in our daily life. There are several issues about the smart contracts that need to be taken into account before considering them a solution to real business problems. The first and most obvious one is security. If implemented correctly, smart contracts should be extremely safe and difficult to hack. The complex cryptography behind smart contracts creates a technological barrier for hackers to tamper with the data. The immutability of blockchains makes it impossible to alter the existing smart contracts to the detriment of one of the parties. At the same time, the early stage of smart contract development and the complexity of the programming languages like Solidity makes it very hard to program smart contracts securely. We have seen this with multiple hacks, like the famous $150m DAO hack (9), Parity hacks and several other recent high profile exchanges hack. Though I am not a developer, I’ve been talking to many people in the industry who are building smart contracts today, and it is evident that the technology is still not user-friendly enough and, most importantly, not really battle tested. It’s important to remember that while in the Web 2.0 poorly written code and hacker attacks could have made you lose all your data, in Web 3.0 it can make you lose all your money. Another concern that I see is the complex legal language involved in traditional contracts. When I started my career as an auditor in a Big 4 company, I remember reading all these lengthy agreements, where I had an obligation to act with integrity and due care, and sign the mandatory non-negligence clauses. It is still unclear how smart contracts could interpret these complex arrangements. What if my client decides that I didn’t exercise due care in providing the services? In most cases where the disputes arise, the arbitration will most likely fall back to the legal system, which will give the whole system another level of complexity. We have yet to see how the regulators are going to deal with smart contracts that are meant to be stand-alone agreements , not subject to interpretation by outside jurisdictions. There is some useful guidance like the one provided by CFTC, but it still hasn’t been tested in courts. The interesting part of this primer is that CFTC considers smart contracts to be subject to existing laws like anti-money laundering rules and CEA (Commodity Exchange Act). Looking at PWC’s infographic of the complexity of smart contracts, It seems we’re probably still not ready to move past the first two simple stages yet. The first stage is simple digital value exchange, and the second is smart right and obligation (with the second stage still being very nascent in platforms like Livepeer). Most business logic is not yet suitable for implementation as deterministic smart contracts on immutable ledgers. Therefore, smart contracts are probably not suitable yet for the complex agreements where sophisticated human judgment is necessary for the assessment of the outcomes (until or if we ever develop AI smart enough to judge human behavior better than the humans do themselves). Off-chain data reliability is another issue in regards to smart contracts. When smart contract solutions are implemented in the real world industries like supply chain, the initial data has to be created on the blockchain first before complex rules around this data is created. The rule of garbage in – garbage out still stands, and the counterparties to the smart contracts don’t always have experts to upload data to the blockchain. The word “smart” in the term is actually confusing. Smart contracts are as smart, as the people who have coded them, have input the underlying data, and created the data oracles. All these concerns are most likely to be addressed in the long term. For example, smart contract upgradability is an essential step to solving the security problem; the bugs identified in smart contracts could be mitigated by the upgrades without compromising the immutability properties, and it is already being tackled by the project Open Zeppelin. There are also attempts to create provably correct smart contracts (or example Synthetic Mind), tools for formal verification of smart contract correctness (for example Certik) and solving an oracle problem (such as with Chain Link). These initiatives are at various stages of development and have yet to prove themselves, but it’s already a clear trend. In the near term, I expect the major smart contract use cases to continue to appear in the financial sector. Peer-to-peer lending, collateralized debt, and margin trading are good examples of such use cases, where smart contracts can play a significant role in minimizing friction and reducing the costs of relying on expensive middlemen. We can already see these use cases built on platforms and protocols like Maker, dydx or Dharma. The finance industry also tends to include more sophisticated users, which should help overcome the initial complexity of the smart contract environment. As to the non-financial areas, there could be interesting cases for smart contracts in services like DNS. The problem of mapping the human-understandable addresses like facebook.com to IP addresses that computers understand has usually been solved through a centralized party that issues a certificate. Smart contracts could help deal with DNS in a trustless way, reducing the costs of issuing certificates and minimizing fraud. Overall, while the general use cases for smart contracts sound very compelling, I don’t expect that we will get rid of the lawyers and accountants soon, thanks to the smart contracts on blockchain that will do all the hard work. The disruption is coming slowly, and the first effects of the smart contract implementations will probably be visible to the end users in their interactions with the financial system, like making cheap cross-border payments and taking out short-term crypto-denominated loans, rather than in their regular day-to-day activities like grocery shopping or driving. As the understanding of smart contracts’ potential started to penetrate the markets, they have naturally responded with the creation of more and more sophisticated smart contract platforms; competing on the endless number of parameters, the main one being the scalability, usually measured in transactions-per-second (tps). The goal of this post is not to dive into a detailed comparison of these platforms, with all their technical complexities and mostly unverified claims, but rather share a framework for an investor like myself, with a primarily financial and business operations background, to make reasonably educated bets in this space. With the Ethereum launch in 2015, the world started to see the opportunities that a smart contract platform can bring to the developers and entrepreneurs that are looking to build decentralized applications. While in the 3 years since Ethereum’s launch the primary application of the technology has been focused on token sales (for the good and the bad), we are now entering the utility phase. We should see more usable decentralized apps (DApps) built and real users, not only speculators, attracted to the space to use this still nascent technology. Ethereum has popularized smart contract functionality on the blockchain, and up until now, it has been the most used platform for building decentralized applications and conducting token sales. The concept of ICO has actually been created before Ethereum, with the Mastercoin ICO that raised 5,000 Bitcoin in 2013. Though the use case was definitely popularized with the arrival of Ethereum. 91% of all ICOs in 2017-2018 have been conducted on Ethereum. Other platforms accounted for a much smaller stake, like Waves with 2.8% and Stellar with 1.3%, and 3.1% of projects decided to build their own blockchain (10). While the ICOs are probably not the most exciting use case for smart contracts that we will see in the next years and decades, it illustrates the landscape of smart contract platforms and their usage nicely. 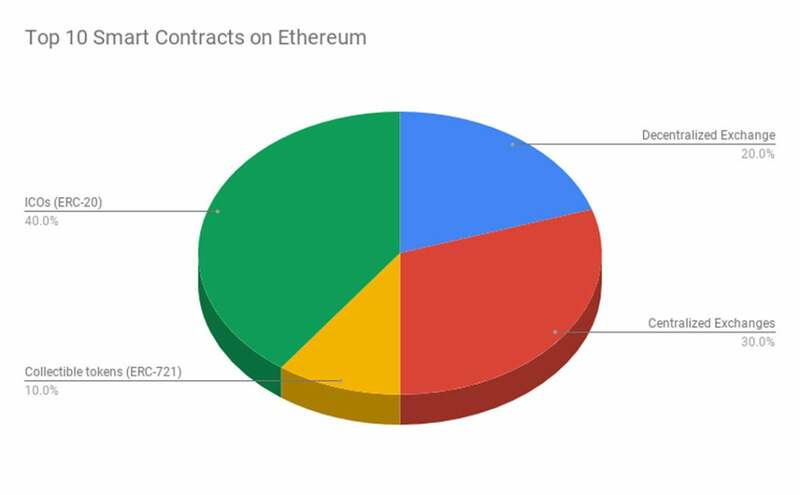 Seeing the success of the Ethereum platform, not surprisingly we saw dozens of other smart contract platforms popping up in the last few years to take at least part of its market share claiming thousands (and sometimes millions!!) of transactions per second. Or, in cases like Dfinity, claiming to completely change the landscape after its launch. The smart contract scalability narrative had undoubtedly fueled this competition, starting to emerge in 2016 and reaching its peak in late 2017, when the Ethereum network got clogged with the game called “Cryptokitties” that at times took 20% of the platform’s computational resources. With the scalability being identified as the key constraint to the blockchain technology mainstream adoption, multiple platforms started to make tps metric their fundamental value proposition. We’ll look at some of these platforms first, and then talk more about the metric itself. To start with, it’s worth noting that currently there are over 60 permissionless smart contract platforms out there. Here’s a good list to look at, taking into account that only public permissionless networks are included. If you’re interested in the permissioned and enterprise blockchain landscape, the online written version of this article includes a helpful resource that shows the major players like Hyperledger, Corda and Quorum and various implementations of their solutions. The goal of this blog post is not to provide a comprehensive overview of this crowded landscape, but rather give an investor’s perspective on the most popular platforms and how one could judge their competitive advantages and try to access their chances at winning the market. If you’re interested in a technical comparison of different consensus algorithms, Mechanism Labs does excellent research in this space. Messari’s library is also a great resource for the overviews of the projects in crypto space, including smart contract platforms. They have integrated OnChainFX, which is very helpful in comparing various quantitative metrics for these projects that I will touch upon in the second part of this post. So here’s a concise recap of the most prominent platforms, starting with (surprise!) Ethereum. There are multiple other platforms out there that are gaining traction in the smart contract space, like NEO, QTum, NEM, Waves, Tron, etc. Dfinity. It is probably the most ambitious project of all, claiming to potentially be a world computer and not only dethrone Ethereum from the smart contract space, but become a decentralized cloud that will host all the range of software deployments that we could imagine. Expected to launch in Q3 2019. Algorand. Created by Silvio Micali, a Turing Award-winning cryptographer, and professor of computer science at MIT, who pioneered zero-knowledge proofs. It claims to address the scalability trilemma by introducing provably random validator selection and provide a highly secure network, which could scale to billions of users. The testnet is up and running, the dates of main net release to be announced. Kadena. This project takes an interesting approach to scalability by running multiple parallel proof-of-work chains with the technology called Chainweb. Mainnet release has not been publicly announced yet, but taking into account their long-term development, could very likely be in 2019. Solana. The team is pioneering a completely new consensus algorithm called Proof-of-History, which, if performing as promised, could deliver up to 710 tps. It is launching in Q1 2019. Zilliqa. High-throughput blockchain platform with smart contract language Scilla that is focused on safety. It is launching in Q1 2019. Here I didn’t even speak about blockchain interoperability platforms, like Cosmos and Polkadot, for the sake of trying to manage the size of the post, but they definitely deserve a separate look at. These projects have the potential to radically change how smart contract platforms differentiate and compete with each other. With blockchain interoperability solutions, the “competitive moats” that these projects are trying to create will become blurry, as it will be easier to switch from one platform to another and developers won’t need to be locked up with a particular platform or programming language. Looking further, it will be possible for developers to roll out their own full-stack chains for specific Dapps, without relying on general purpose smart contract platforms. Even with this short summary, we can see how complex the smart contract space is and how it will become even more competitive with the launch of all those “Ethereum killers” and blockchain interoperability solutions in 2019. With all this variety of smart contract platforms and infrastructure for Dapps that claim to solve all the problems of predecessors, how does one ever get to evaluate them and decide for oneself how to make a bet in this crowded market? The very common narrative to compare smart contract platforms up until now has been focused on scalability. It’s popular among blockchain technology critics to claim that current public blockchains are not scalable and represent nothing but expensive and slow databases, with Bitcoin only being able to process around 3 tps and Ethereum around 20 tps. This in hindsight indeed pales compared to the existing centralized payment processors like MasterCard or Visa with over 50k tps. Transactions per second metric has become a beauty contest among newcomers in the smart contract space, and at some point, you would only see platforms pitching their tps as the main competitive advantage. 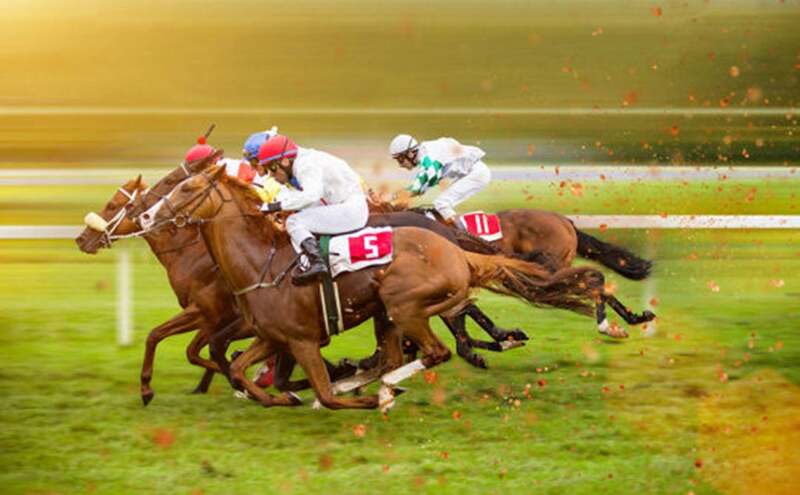 Shall we then evaluate the potential winners in the smart contract platforms marathon based on their tps and bet on the ones promising the largest on-chain throughput? While this is an important metric and has dominated investors’ minds for a long time, it’s becoming apparent that the large number of tps doesn’t have to be the holy grail of driving blockchain adoption. First of all, multiple solutions have been in development in the last couple of years to tackle the problem of on-chain throughput limitations. State channels and side chains (12) are gaining traction in supporting off-chain (or off-the-main-chain) computation and putting the throughput pressure away from the low trustless layer. We’re already seeing these solutions being implemented, such as with Lightning Network and Liquid Network for Bitcoin and Raiden Network (https://raiden.network/) and in Plasma chains implementations such as with Elph for Ethereum. Secondly, alternative scaling ideas are being experimented with as well, such as “layer 0” blockchain-agnostic solutions like Bloxroute, separate platforms to perform resource-intensive computation like TrueBit or Arbitrum and more. Thirdly, aside from sidechains, drivechains, and other layer 0-2 scaling solutions, several private and enterprise blockchains are being experimented with and implemented by large enterprises. The businesses that I have talked to and watched presenting at numerous technology conferences are by and large hardly planning to put their data on an open public blockchain. For enterprises, public blockchains could be used as a trust layer, where private blockchains will periodically anchor their data to ensure the common history for all the participants, without exposing too much proprietary business data to the public network. Therefore, permissionless blockchains might not be required to process large numbers of transactions on-chain to actually be used by the enterprises, which are often considered a key locomotive to smart contracts adoption. Summarizing the above, I believe that tps is not the ultimate comparative tool to evaluate smart contract platforms and access their potential success, and even less their investment attractiveness. While the smart contract platforms founders and investors have been focused on addressing the scalability trilemma and the paths to achieve maximum decentralization, it seems that sometimes the market tends to overlook who the users of the smart contract platforms are. 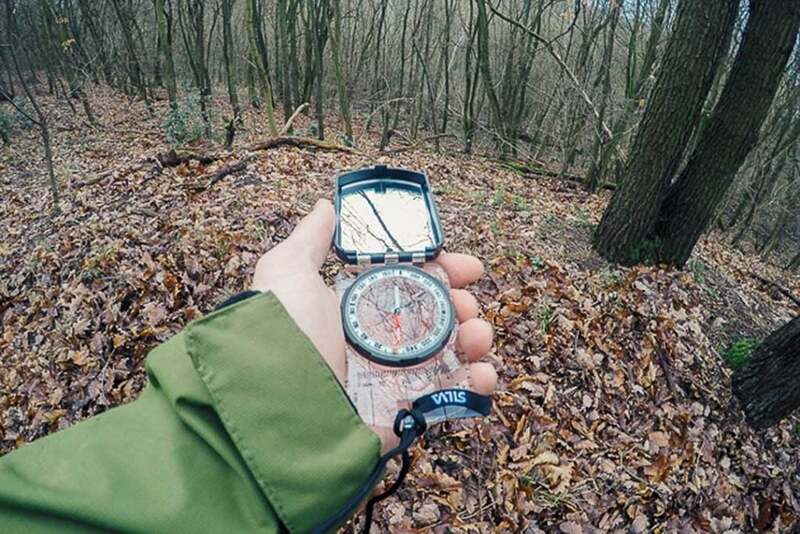 From my perspective, the rules of business logic still stand, and if we are making a new product, we need to optimize the experience for the immediate user of this product. I do not mean to underestimate the importance of building blockchains on very strong technical foundations, but suggest to take other important factors into consideration, such as developer experience. From that perspective, we can look at these platforms and examine which ones are providing the best experience for their users and, therefore, have better chances to have quality products built on top of them. We can start by looking at qualitative characteristics that might be important for developers that are choosing which platform to build on. Again, this is not my personal view as my programming skills end at writing “hello, world” in Python, but rather a summary of what I learned attending developer conferences and talking to dozens of very smart devs and engineers in the blockchain space. It’s also important to keep in mind the upcoming blockchain interoperability solutions, which aside from other features could also strengthen the security of individual chains. In that sense, it’s important to understand what use cases you care about the most and you feel most bullish about. Then consider what parameters are important for developers that build these use cases. For example, if you’re a strong believer in the gaming industry as the next thing that will spur the mass adoption of blockchain, then you should look at what platforms are achieving best security and scalability parameters for building games. Do you really need an uncensorable world computer ran by thousands of nodes and charging large transaction fees for that use case? This is just scratching the surface of the optionality that current smart contract platforms offer for developers, but I hope my line of thought makes sense here. 3. Usability. How modular and how flexible is the system, how difficult is a programming language, what are the tools available – these are all important features of a smart contracts platform that are often overlooked in investment pitches. We can already see that platforms are optimizing for usability, where projects like Kadena are focused on human-readable smart contract language, or Blockstream creating Simplicity to make it easier to build smart contract functionality on the Bitcoin blockchain, and EOS and Cardano providing user-friendly addresses; not even speaking about numerous stand-alone projects that provide developer tools like The Graph, Adapt or Nebula for EOS. While at the dawn of smart contract platforms developers had to learn Solidity to build on Ethereum and basically had to build all the tools from scratch, today platforms compete to make this experience smoother and more user-friendly. Another thought here is that while I believe that developer tools and usability are going to be important differentiators in the short term, these platforms are all open source and it will become easier with time to copy the features and implement them on each platform. Then, what will be important is upgradability and how quickly these platforms can evolve. Now it’s time to talk about governance. Blockchain governance has become a cornerstone of many heated debates in the space, as it is naturally a polarizing topic in all other aspects of life. It is definitely worth a separate blog post, and there’s already a lot of information on decentralized networks governance out there. Governance could cover different aspects, from consensus algorithm and network upgrades to treasury management of the given platform. So it’s already a great simplification when one evaluates blockchain networks according to the ones which have or do not have the right governance systems. The devil is in the detail. Initially, the pioneering networks like Bitcoin and Ethereum evolved with off-chain governance, which consists of constantly balancing the power between core developers, miners, users, various businesses that use it, and the larger community. In the last couple of years, there were more and more projects that started to focus on formalizing governance systems (like EOS with its Constitution and ECAF) and bringing it on-chain (like Tezos or Decred) with its stake-based voting. The debates around the need for formal governance for blockchain networks can get quite complex and at some point very theoretical. I recommend listening to a podcast with Gavin Wood and Vlad Zamfir representing two opposite sides of the debate. This post by Rocco is another great dive into peculiarities of decentralized networks governance and trade-offs between on-chain and off-chain implementations. The way I look at governance systems for smart contract platforms is largely as a tool to make the platform stronger and evolve over time, rather than whether any particular form of governance is right or wrong as a standalone concept. What I mean is that I don’t necessarily see the benefits of creating a decentralized democracy, plutocracy, futarchy or else, without accessing if that is going to make this platform any more competitive by giving it practical features that weren’t available without this governing system. What is important to remember is that while Bitcoin and Ethereum to a lesser extent have already been battle-tested, the new blockchain governance mechanisms are just being launched and haven’t yet demonstrated any superiority for the networks that incorporate it. That’s another reason why I’m usually more concerned with overly sophisticated governance mechanisms that are implemented in a newly launched network from day 1. In many cases, it’s beneficial to launch with more flexibility around the governance design, including more centralized design at the start, with a roadmap to further decentralize and automate it when certain milestones are met. Before these newly launched networks with formalized and/or on-chain governance systems are tested in real life, being attacked multiple times or facing important upgrade decisions, the debate around the ideal structure of on-chain vs off-chain governance continues to be largely theoretical and philosophical. Going back to the points of developer experience discussed earlier, this to me is much more important as a differentiator than the form of the governance system, as long as the latter serves its purpose. And whether it does it or not we’ll only be able to figure out with time. The best thing we can do today is observe these young networks in real world scenarios and make our own judgements regarding their ability to react to adversity and upgrade as quickly as it’s reasonable. Another potential success factor for smart contract platforms that I’ve briefly mentioned in the previous paragraph is their ability to financially motivate developers to build on them. The way it’s usually done is through creating ecosystem funds that provide support to projects and Dapps in form of grants or direct investments. The Ethereum Foundation has a grants program where it distributes funds to startups that build on the platform, with grants ranging anywhere from $10k to $1.5m. Launched in 2018, the Foundation has already allocated over $14m in grants. Consensys is another entity that largely supports the Ethereum ecosystem and since its inception has funded over 50 startups in the space. While it has announced certain restructuring measures recently, including layoffs, to combat its $100m annual burn rate, it is probably going to stay in the game of incubating Ethereum projects as long as it’s sustainable. EOS has a $1b ecosystem fund and a venture arm to invest in the platform’s projects. This is one of the most significant smart contract platform ecosystem funds ever created and it will certainly play a role in attracting developers to the platform. Tezos is likewise offering community grants to boost its ecosystem development. The project’s fundraiser of $232m was one of the largest in the history of ICOs, so it has the leverage to attract developers to its platform. This hasn’t proven particularly fruitful up until now though, we will take a look at some numbers later on. Stellar has allocated a total of 25 billion XLM to its grant program, which at the time of writing exceeds $2.5bn and could grant up to $2m to individual projects that build on Stellar. We all know that you can’t buy love, and really good developers won’t build on a platform they don’t trust, no matter the financial incentives. While I agree with this in general, in some instances when the choice of the platform is not obvious, the ability to have some financial support in building your awesome product could be a decisive factor. Especially so with the interoperability solutions and developer tools that will make it much easier to port Dapps from one platform to another. That way the founders know that they can start with one smart contract platform and have an opportunity to move, or at least have a workable bridge, to other platforms on the market. In crypto industry the relations between the investor, the team and the project are not as clear as in a traditional VC world due to the goal of decentralization that many teams are pursuing; this leads them to step back or at least limits their roles in platforms’ leadership at certain points of time. The investment stage of the smart contract platform makes a big difference in how we view the team, and its role in the project. When evaluating the early stage pre-launch platform, the team is as critical as in any startup. I wouldn’t dive into common sense investor thinking when accessing the team, what I would like to emphasize is the importance of traditional business and management experience that is so often lacking in crypto teams. In the first years of the platform it’s going to be extremely important to establish the right business relations in the market and attract various players, including existing businesses and projects, to build on this platform. In many cases, when the team is too focused on the technical aspect of the platform, I would hear an approach along the lines of “we will build and they will come”. While I understand that the team is usually too excited about the breakthrough technology, it still takes good management and business expertise to run the platform through the early years of bootstrapping. I would like to see teams that understand the importance of going out and being competitive, have strong management skills and have experience in building business relations outside of crypto. Experience in building open source software and working with large international communities is another benefit for a team that is likely to succeed in this space. Having experience in software development in centralized companies is quite different from what the team will have to face when they are building decentralized, open platforms. At later stages of investing, when the platform is up and running, what’s important is the effective governance and strong partner organizations that are willing to support it. Now that we’ve talked a bit about the informal framework of evaluating the smart contract platforms, we can look into some facts and figures that could give food for thought about the competitive landscape. Of course, we could only look at the performance of the networks that have already launched and have been on the market for a while. The first and most straightforward way to see what networks have the most developer activity, and thus are being used and worked on, is by comparing their Github activity. This is not always an exact way to measure developer activity, of course, because some developers can work on private repos, and the “activity” itself can be very different, from simple interactions like comments to complex pull requests. Taking all this complexity aside, we can still have a good idea of how these platforms compare according to their developer activity by looking at their Github stats. The SANbase shows us last months’ activity, and it also has some other nice metrics to put things into perspective, like market volumes and social media activity. For example, it’s interesting to notice that smart contract platforms like POA Network, which have very modest market caps and little marketing coverage in the industry compared to the leading platforms, at the same time have consistently high developer activity. If you check their updates you could see that POA Network team was the first to introduce working cross-chain bridges, the xDai chain runs on Dai stablecoin and regularly introduces new features. That’s why checking Github activity is always an interesting benchmarking exercise. Still, monthly activity is not so representative, because there are always spikes in development prior to major update releases or unexpected bug fixes. I like to check Cryptocodewatch.com, they have good variety of metrics, though there are some networks that are clearly missing, like the POA Network that I mentioned before. Ethereum has consistently been a leader in development activity, which is not surprising, with some exceptions around April-June 2018, when EOS had the most number of commits due to its upcoming launch. Another way of looking at network activity is from the position of the users and how many on-chain transactions are occurring on the platform. There are many caveats in this metric, because on-chain transactions could be of a very different nature and do not necessarily mean the core activity on the smart contract platform (here’s a different approach to measuring on-chain activity by Blocktivity, where they use operations to measure blockchain activity, as opposed to transactions). Still, it’s a good way to access how alive the network is and how many people actually interact with it. 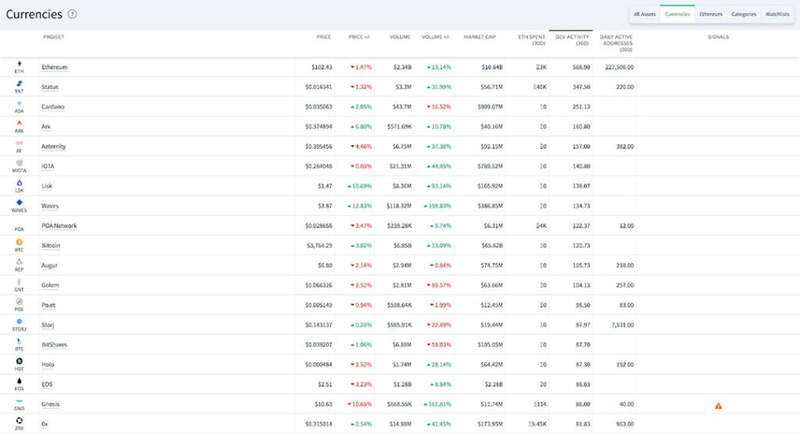 Messari absolutely rocks this space with their new interface and OnchainFX integration, where you can see basically any metric about the top blockchains and have very detailed explanations on how these are calculated. I also sort smart contract platforms by the number of active addresses, which is another good indication of the actual users of the platform. It is quite clear that Ethereum and EOS are currently way ahead of their competitors in terms of the active users interacting with their platforms. The numbers can give us a good understanding of the competitive position of one or another platform, but what’s even more interesting is to see what use cases are being built on these platforms. So far, as I mentioned in the very beginning of this post, the main use case of smart contracts has been ICOs. There have been over 1 million smart contracts issued on Ethereum (the team at Quantstamp even estimated the number to exceed 8 million in their recent presentation at Blockchain expo last year). The majority of them represent token sales, with others mainly relating to exchanging ETH to other cryptocurrencies. The other platforms clearly don’t have the same traction in the number of smart contracts issued, but this is obviously because of the time that Ethereum has been on the market and the ICO boom of 2016-2017. 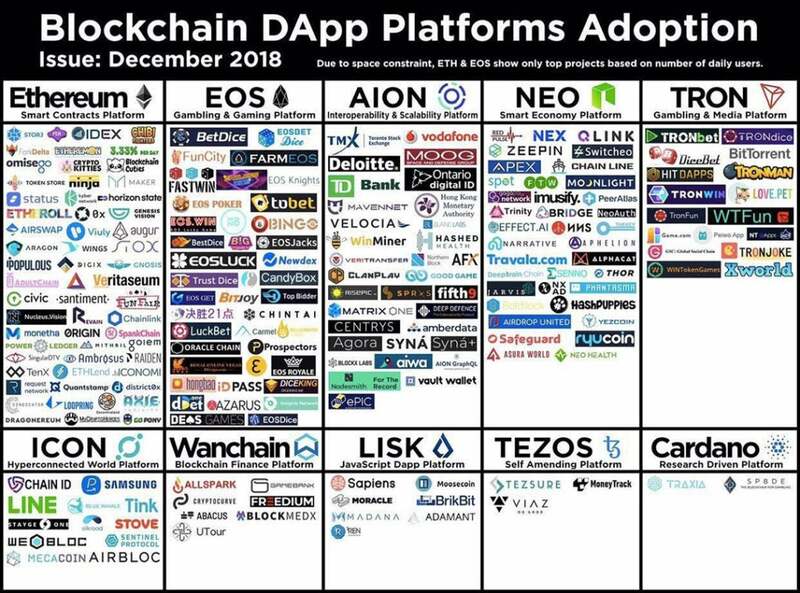 So it might make sense to also look at the Dapps that are built on these platforms and see where the real usage and adoption might come from. What’s worth noting, aside from Ethereum’s clear leadership, is how quickly EOS managed to get developers to build on its platform, taking into account that they only launched in summer 2018. It’s interesting to see how the fundamental discussions of lack of decentralization and controversial governance don’t go hand in hand with the qualities that are important for developers: user-friendliness, cheap transactions and financial incentives. Another interesting observation is that Tezos has only three working Dapps so far, despite their efforts to support the ecosystem with ecosystem funding and grants. The same stands for Cardano, which seems to be heavily focused on tech and very little on business and marketing. The team’s emphasis is rather on “building it right” than “building it first”. It’s hard to say what approach will be a winning strategy in the long-term. As of now, EOS’s aggressive growth strategy and focus on business development brings its results. It’s interesting to see how their business-focused approach reflects across everything they do, including hackathons. But in this fast-growing and fast-changing environment, we can see this landscape change in a matter of a few months. The number of Dapps is not the ultimate goal though. The number of actual users of those Dapps should give us a better idea of the real adoption, and for that I like to check Dappradar.com. 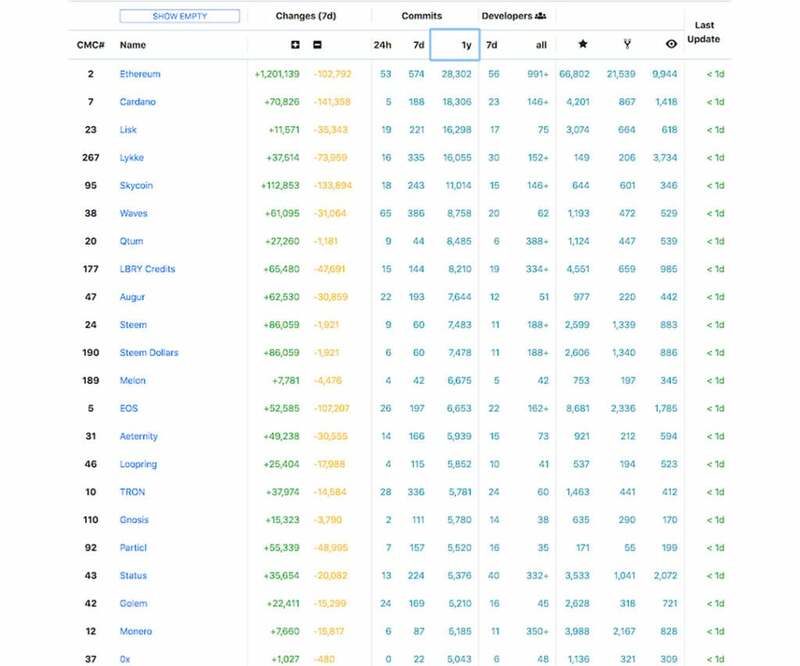 So far it only includes Ethereum, EOS and TRON Dapps, but it actually covers by far the largest user bases, as most of the Dapps still struggle to gain any traction. Another good resource is State of the Dapps, they cover Ethereum, EOS, POA and Steem. Team at Dune Analytics does great dive into details of Ethereum Dapp adoption, worth reading if you’re interested in more granular data. Even though the data can vary, this a good refresher to remember how far we are from mass adoption. 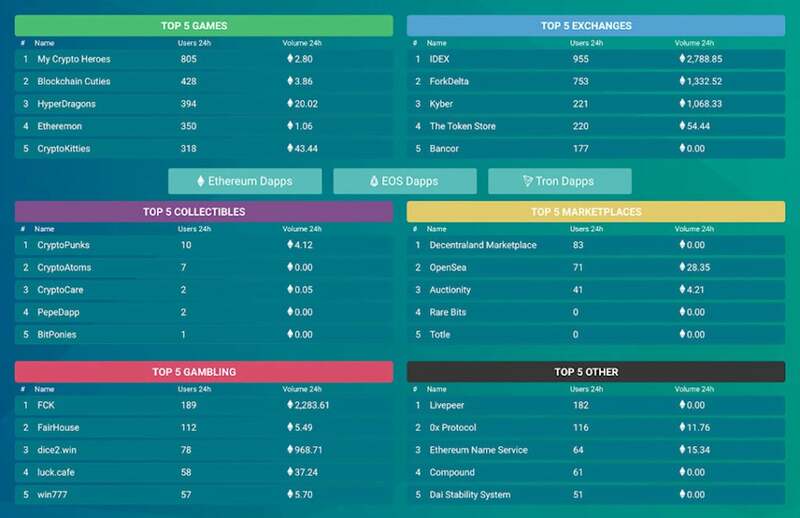 The most popular Dapps still count their active users in thousands and hundreds, and the most popular use cases, aside from finance, are all centered around gambling and betting. These are probably good cases to prove the technology, but very far from the world changing promises of blockchain that we’re all here for. That’s why these metrics should be taken with a grain of salt. It’s still very early and the landscape can dramatically change. Not only because of the launch of the new platforms that I mentioned in Part I, but also because one “killer app” on any of the existing platforms could reshape the competition completely. I check smart contract platforms stats regularly to see if the fundamentals have shifted in any direction. But it’s clear that on-chain data and developer activity alone are not enough to make an investment decision. The economic fundamentals have to be attractive too, and that does not necessarily go together with the technical attractiveness of the platform or its growing user base. In the next chapter, I’d like to go over the main investment options that exist in smart contract platforms and what are the considerations for an investor trying to make economically viable bets in the space. Smart contracts, and blockchain in general, are so exciting not only because of the cool new tech that they bring to the world, but also because of how it changes the traditional investing space. 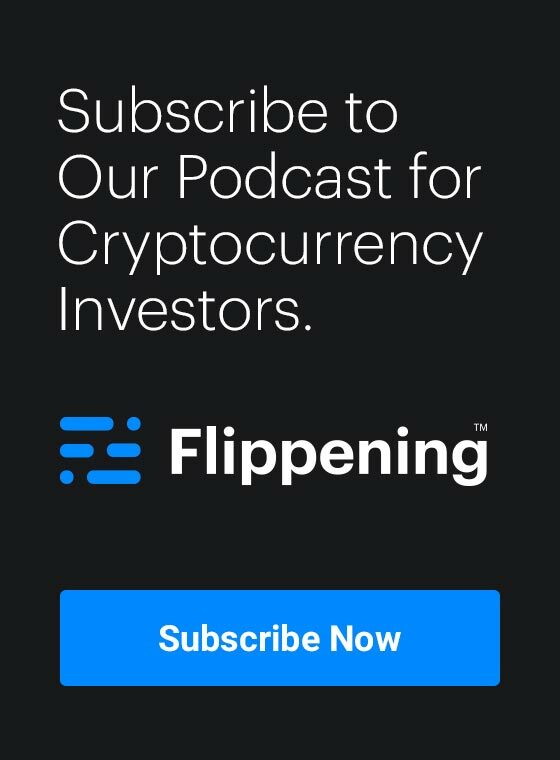 First, I would like to make a short comment on the term “investing”, because I believe this word has been frequently misused in the crypto space. If one is purchasing an asset with the goal of earning a decent ROI from the asset’s performance in the future, this to me is called investing. On the other hand, if one is purchasing an asset to resell it in some period of time at a greater price, this is speculating. It doesn’t have to be short-term focused or detrimental to the industry, but still it’s a different approach from investing. While our firm does both, investing is our primary focus. 1. Token sales opened up a completely new type of early-stage investing, where the main difference compared to the traditional VC is immediate (or almost immediate, depending on a vesting schedule) liquidity. While this certainly has its downsides (we’ve all seen them in the craze of 2017), it gives great flexibility to the investor. 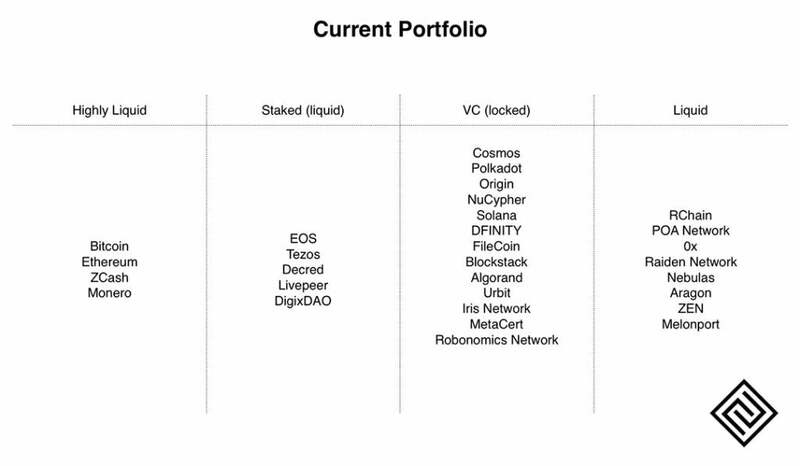 When the traditional VC is locked up with its thesis and its portfolio for several years, crypto investment companies can reassess and revise their portfolio if they believe that the fundamentals have changed. This is extremely powerful in the early stage industries like crypto, and it is one of the key responsibilities of the crypto investor. That’s what we do in our firm on a regular basis. d 2. Owning tokens is very different from owning equity, not only from a fundamental standpoint but also from the legal and technical side of things. This crypto revolution is quite challenging for traditional investors, as they need to figure out how to custody the tokens, how to operate and transact with the tokens safely, and how to maintain overall operational security when dealing with cryptocurrencies and tokens. The legal side of it is also complicated, starting from the lack of investor protection in the commonly used SAFT and other Token Sale agreements, to the more general issues of the legal status of the tokens sales, especially with the latest enforcement actions by the SEC. There’s quite a steep knowledge curve for an investor who wants to tap into this space. Our approach is that there’s no place for cost cuts in terms of operational security and good lawyers. This is a nascent space and it’s crucial to build your operations on strong fundamentals. Of course, other investment metrics, like the size of the investment round, valuation, the structure of the funding round and vesting schedules, are all critical drivers of the investment decision. But those are not specific to the smart contracts space and are generally known to the traditional investor. 4. Purchasing tokens in decentralized networks provides investors with the opportunity not only to benefit from the potential upside of the network growth, but to participate in the networks themselves, help bootstraps the network activity and secure it in the early stages of growth. This is commonly called “generalized mining”, Jake Brukhman from Coinfund (who actually coined the term) provides a good explanation of this concept on the Unchained podcast. Multicoin Capital does another good analysis of this trend. We largely agree with this vision and actively participate in the networks that we back, running nodes and validators. These are my very high-level considerations on the investing process and why investing in tokens differs so much from traditional venture investing. I won’t dive into the details of project due diligence, token metrics and other technicalities, as it is outside of the scope of this post, but I hope it gives some flavor of our firm’s thinking on token investing. Now that I’ve attempted to cover both my and firm’s perspective on this complex market of smart contract platforms, I would like to finish this post with my vision of how this space could evolve. Making a prediction in the blockchain space (and, honestly, in the markets in general) is something I largely avoid doing, because of its inherent volatility and how its highly subject to black swan events. With predictions, you are either wrong, or you simply got lucky – it’s impossible to accurately predict all global events that could influence such all-encompassing industries. So instead of making a particular prediction of a platforms successes (or worse, its token prices), I will try to outline the key trends that could shape the future of the smart contracts space several years from now. Looking at the market today, it doesn’t seem as if we’re going to have a “winner takes all” situation in the near future. It’s more likely that the market positions of smart contract platforms will resemble a power law distribution, with the most popular platform gaining the majority of users and use cases (~80%), with the next platform gaining traction for another 10% of the market, the next one having half of that share, and so on. It is more of a mental model to look at the market, rather than an attempt to give it some precise numbers, so don’t take the % literally. The reason why I believe we won’t see 100% of the market being won by one top platform is the possible specialization of them. We’ve seen with Ethereum that it’s hard for one platform, even with its network effects and long market history, to serve all the possible use cases out there. It’s more likely, that Ethereum will end up being a general trust layer, while other platforms will optimize for particular use cases. We already see it with EOS that is leading the way with the gaming and betting applications, and Stellar that is tailoring to financial applications. Second layers will also capture significant value, as a lot of activity will shift away from the layer 1 to the faster and cheaper off-chain or layer 2 solutions like sidechains, state channels, payment channels and the others that we talked about earlier. While all the technical advancements and business development efforts of these platforms will certainly push them forward, the winning platform will most likely be the result of a “killer app” that will be built on top of it. Up until now, all the smart contracts use cases (except token sales to a certain extent) have only managed to attract users from the crypto space and some parts of the tech industry. It’s still left to see which product or Dapp will manage to break into the mainstream and reach tens and hundreds of millions of users. When this happens, it will pave the way for the underlying platform’s leadership on the markets. As an investor in smart contract platforms, my job, and the job of our team at P2P Capital, is to constantly analyze the market and watch for the fundamentals that show us the direction of the developments in smart contracts space. Despite all of the pessimism that we see on the markets when the price action goes in the negative direction for too long, for us, this is the most exciting time to be in this space and watch this technology being built from the ground up. I welcome your comments. Please, reach out to me if you find any incorrect statements or omission of important information. As I said, this post is an overview of my work at P2P Capital rather than a comprehensive survey of the smart contracts space, so I welcome all constructive feedback. Katya Kovalenko is a Partner at P2P Capital, focused on market analysis, projects research and due diligence. With prior experience in multinational corporations across energy and software sectors, Katya’s key expertise lies in business process management, risk assessment and strategy.